The gritty crime thriller with a dark sense of humor, Small Town Crime arrives on Blu-ray™ (plus Digital), DVD, and Digital March 20 from Lionsgate. The film is currently available On Demand. Starring John Hawkes, Golden Globe® nominee Anthony Anderson (2018, Best Television Actor – Musical/Comedy Series, “Black-ish”), Clifton Collins Jr., Michael Vartan, with Robert Forster and Academy Award® winner Octavia Spencer (2011, Best Supporting Actress, The Help), the film follows an alcoholic ex-cop who discovers the dead body of a young woman and is determined to find the killer in order to redeem himself as a police officer. Hailed as “hard-hitting and charming” by Cinapse, Small Town Crime was an official selection at the SXSW Film Festival and the BFI London Film Festival. 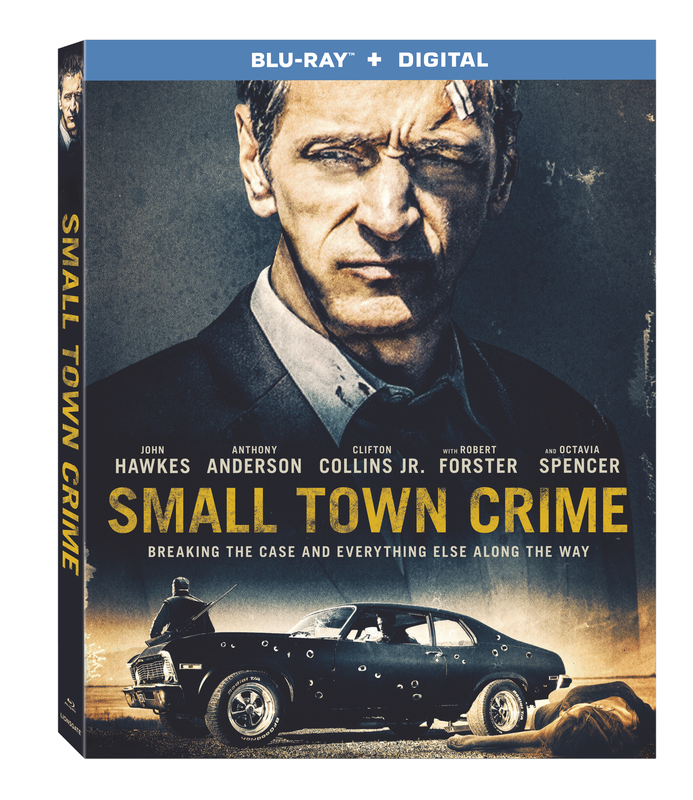 From writers and directors Eshom Nelms and Ian Nelms (Waffle Street), the Small Town Crime Blu-ray and DVD will be available for the suggested retail price of $21.99 and $19.98, respectively. So if you read my weekly new release theatrical post, then you know Small Town Crime just came out this week in a limited fashion. So far the reviews have been excellent and it comes near me, I’ll certainly take the trip and do a review for TNM. The film has actually been able to rent for two months, so why would you care about this Blu-ray? Well besides the obvious picture enhancement that Blu-ray brings… check out those features. If this is destined to become a favorite for many, the extra scenes, making-of featurettes, and three… yes three commentaries make an amazing package! Some are going to wonder why their favorite film doesn’t get this treatment. The only place to preorder at this time seems to be Best Buy.